The 1995 American crime drama Casino tells the story of Sam “Ace” Rothstein, a Jewish-American called on by the Italian Mob to oversee daily operations at the Tangiers Casino in Las Vegas. Nicholas “Nicky” Santoro is a Mob enforcer sent to Vegas to make sure the money is being distributed correctly. Robert De Niro and Joe Pesci’s characters are based off of Frank “Lefty” Rosenthal, who ran the Stardust, Frement and Hacienda casinos in Las Vegas, and Anthony Spilotro, an enforcer of the Chicago Outfit. The Chicago Outfit dates back to the 1910s, rising to power in the 1920s thanks to Johnny “The Fox” Torrio and Al Capone. In 1971, under boss Anthony “Joe Batters” Accardo, Anthony Spilotro succeeded Marshall Caifano as the mob’s representative in Las Vegas. With “Lefty” Rosenthal on his side, they embezzled profits from the casinos and sent the money back to the Outfit. Spilotro was blacklisted by the Nevada Gaming Commission in 1979 while Rosenthal was blacklisted in 1987. While Spilotro was rising to the top in Las Vegas, his childhood friend Fred Pascente was rising to the top of the Chicago Police Department. 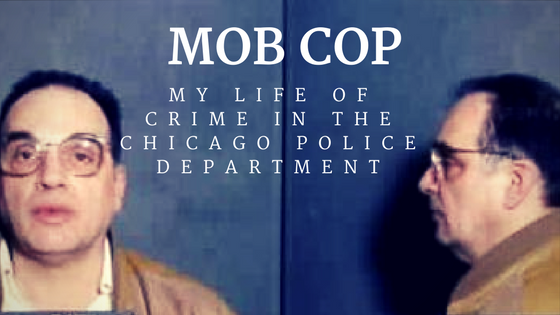 This rise is documented in Mob Cop: My Life of Crime in the Chicago Police Department and features his 26-year career as an officer while remaining close with the Chicago Outfit. Although Pascente grew up with Spilotro in the old Italian neighborhood, he was drafted into the army and then joined the police department in 1968. As an officer, he was taken under the wing of William Hanhardt – a Chicago Police Department Chief of Detectives whose 33-year career was said to have been involved with The Outfit, and pled guilty to a nationwide jewelry theft ring in 2001. Pascente’s memoir was told to Sam Reaves, an author and member of the Midwest chapter of the Mystery Writers of America. In a series of video-recorded interviews, Pascente reveals untold inside knowledge of his life as a cop and robber. From neighborhood baseball encounters with Chuck Nicoletti to cleaning Paul “The Waiter” Ricca’s house on the weekends, Pascente recalls growing up and growing old in the old Italian neighborhood on the outskirts of Chicago. Pascente passed away in 2014 before his memoir was published, but not before the Family Secrets trial began in 2007. After nearly a decade of working with Frank Calabrese Jr, son of Outfit member “Frankie Breeze”, 125 witnesses and 200 pieces of evidence were shown as part of the investigation of 18 murders and one attempted murder from 1970-1986. This FBI operation is said to have created significant effects on the Outfit’s operations, but has not ended their reign. For what is to be considered the greatest criminal empire in American history, Fred Pascente’s role with the Chicago Outfit ended with a prison sentence – like many of the members. He was a man of both good and evil, doing great work for the Chicago Police Department yet remaining involved in a multitude of illegal activities. By sharing his greatest regrets and accomplishments, Mob Cop makes for a captivating read.